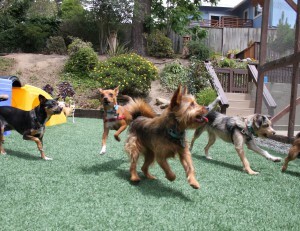 Daycare can be stressful for dogs, and no wonder. Too often daycare settings are crowded, lack outdoor space, force social interaction between dogs who wouldn’t have chosen to be friends, and exhaust dogs with constant but unstructured activity. 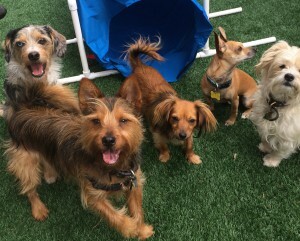 Small dog daycare is perfect for shy dogs who need a safe space to build confidence, young dogs with endless energy, seniors who could use supervision and cuddles while they snooze and relax, smalls with separation anxiety who need all-day company, and littles whose parents work long hours. 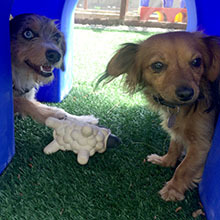 Set in beautiful Pacifica, our center is small dog heaven. 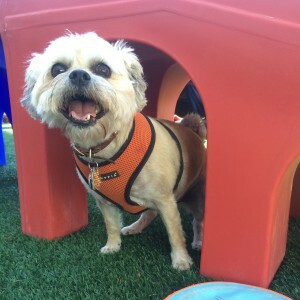 Plush couches and dog beds indoors invite snuggling and cuddling, while our large, lush yard provides active littles plenty of room to run, play, wrestle, and then relax in the sunshine. 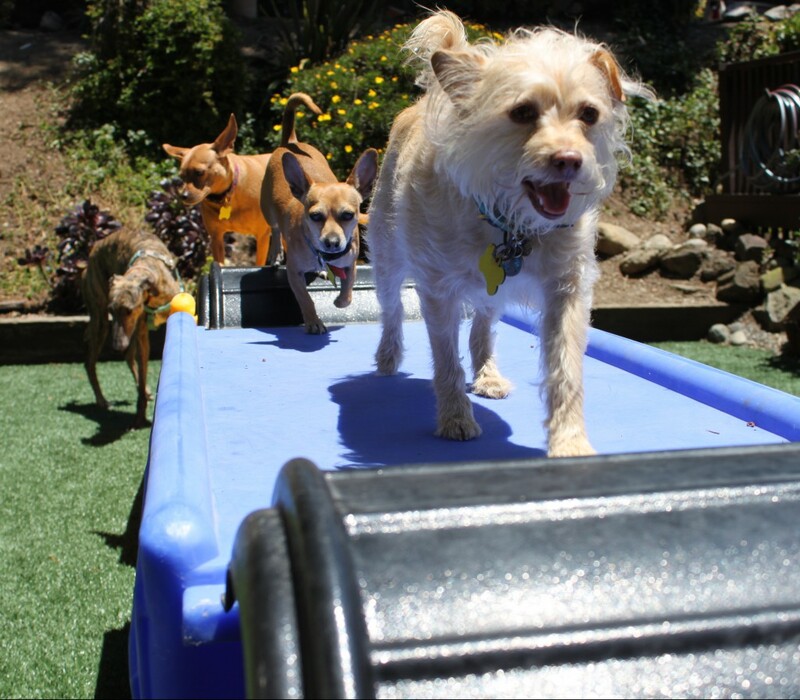 Secure fencing, thorough dog-proofing, and constant, loving supervision keep your small dog safe while she enjoys her fun-packed day. One size definitely does not fit all small dogs! 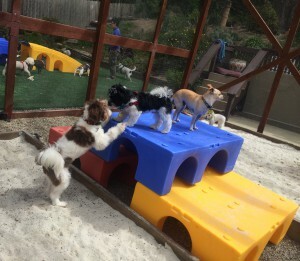 At The Art of Dog, we get to know our daycare dogs’ personalities and preferences, and build customized itineraries to make the perfect day for each. 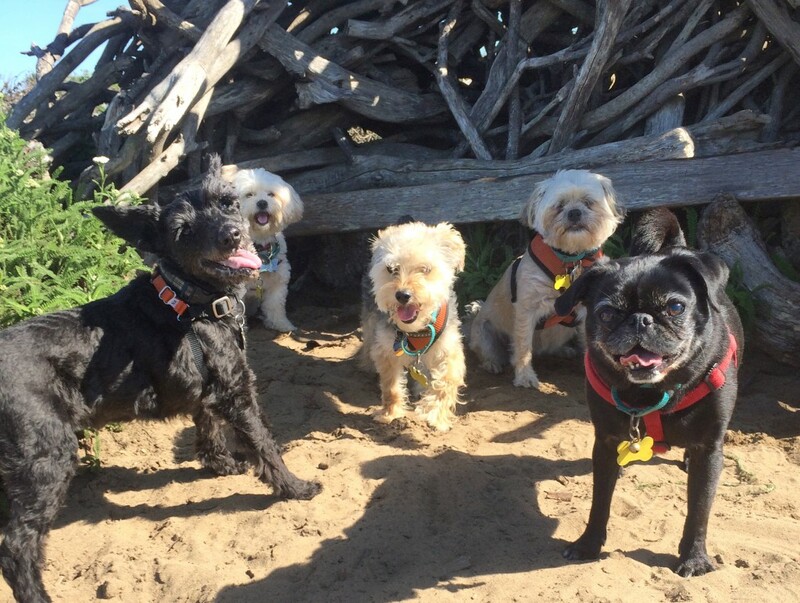 Your dog’s day might include an on or off-leash group romp at Fort Funston or another San Francisco open space; dog games; group play and wrestle time; non-competitive agility; all-positive basic obedience, manners, or tricks training; sunbathing; couch cuddle time; nap & quiet time with a healthy treat; all manner of other creative, fun pursuits. Your pup is picked up from your home—Let the fun begin! Pick up, drop off, snacks, and stuffed Kongs included. And of course all cuddles are free! Note: The more your small dog plays, the better her days—and yours, too. Regular exercise is a key factor in enjoying a calm, well-behaved dog of any size. Read about our professionals qualifications and backgrounds and see our smiling mugs on our About page, and read client reviews on Yelp, Facebook, and our Testimonials page. Send us an email or give us a call at (415) 715-8573. We can’t wait to hear all about your small dog! 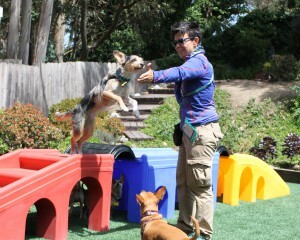 San Francisco small dog daycare for Noe Valley, Bernal Heights, Diamond Heights, Glen Park, Mission, and Castro neighborhoods.